Still in a moving sparkly house frame of mind today. 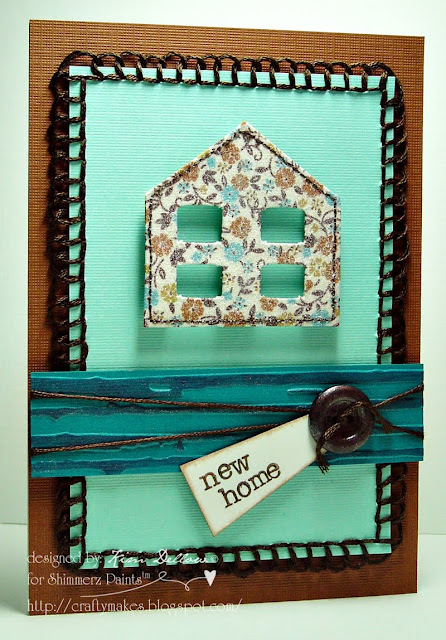 The house is made of fabric, backed with card and sprayed with Shimmerz Spritz Baby's Breath for that sparkle and I've used Shimmerz Paints Teal on the embossed card and yummy Choc-o-lot on the button. Mmm Chocolate buttons! Great card Kim. I like all the texture. WOW! Your cards are Gorgeous!!! 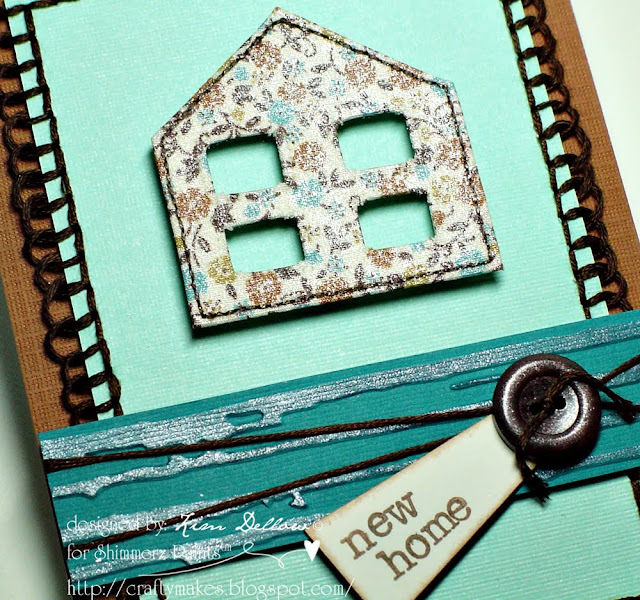 I love this card and the little house!! Great job! Oooooooh, I love that stitching! !